It was very gratifying for Homeland Security Today to win ASBPE’s national gold award for best feature series but I have to admit — it was frustration with the existing Azbee rules that drove me to do it. When we launched our magazine in 2004 I was determined that we weren’t going to put out what I called “another @$&*# trade pub,” as I put it. After the attacks of 9/11, all of us who formed the company and launched the magazine took homeland security too seriously to give it anything less than our best effort. I knew we could produce a high-quality magazine that could stand against any competitor in the trade or consumer media. From the very beginning as well, I realized that to cover U.S. homeland security, we also had to cover Canada and Mexico because the security of all three countries is intimately intertwined. Going Beyond ‘Virtual’ Reporting. I’ve always believed in “boots on the ground” reporting. Sure, someone can work the phones or use e-mail, but to get real reporting from a place you have to be there. Accordingly, over the years we’ve built a network of correspondents around the world. In this case, finding a capable Canadian correspondent was relatively easy, but finding someone who could write consistently good material in English from Mexico City proved much more difficult. Ultimately, I did find Jana Schroeder, a veteran American journalist living and working near Mexico City, and we began working together. We actually did several series over the years. In 2006 all three countries had elections, so we did an issue with reporting from all three capitals on their likely impact on security in each country. In 2007, when Al Qaeda began threatening oil installations, we did a three-article package in our September issue called “Petrojihad — The Next Front?” covering petroleum security in the United States, Canada and Mexico. Feature Series Category. I wanted to submit that group of articles for the 2008 Azbee feature series category, but I was told the articles had to be in successive issues. Next time, I resolved, we’d string it out over three issues. Things began unraveling in Mexico in 2006 when President Felipe Calderon decided to break the back of the narco-cartels in that country. To everyone’s surprise, the cartels began fighting back — hard. At Homeland Security Today we issue a homeland security report card every September, looking back at the events of the previous year, and when I looked at the events between Sept. 11, 2007, and Sept. 11, 2008, I was shocked by what I saw going on in Mexico. Today many people have heard about the brutality and savagery of the narco-cartels. There were Mexican killings and gang shootings in 2008, but what was really surprising was the number of assassinations of high-level government officials. In May, Edgar Milan Gomez, the acting chief of Mexico’s federal police, was gunned down. In June, Igor Labastida, the top official in charge of combating contraband, was murdered as he ate lunch. Then, in November, the interior minister and the top national security adviser and prosecutor were killed when their plane crashed near Mexico City. These weren’t just random gang killings, they were targeted, strategic assassinations. If this happened in the United States, you would have to imagine that in the space of seven months the heads of the Federal Bureau of Investigation, the Drug Enforcement Administration, the attorney general and the national security adviser were all killed. An Important Story. Something serious was going on. Someone was trying to break the Mexican government, and anything that affected Mexico this directly was going to affect U.S. homeland security. I also had the opportunity to sit next to Border Patrol Agent Sal Zamora at a dinner honoring outstanding public servants, and we discussed the seriousness of the border situation and the cartels. Then, several things came together. Anthony Kimery, our senior reporter, who lives in Oklahoma City (in part a reason for his interest in homeland security) said he wanted to go to the border because of the carnage he was hearing about there. I had the same idea and we were able to send him to meet up with Zamora and the two toured the area together. I also had lunch with Brian Jenkins, a renowned, veteran counterterrorism analyst, when he was in Washington to discuss his new book, Will Terrorists Go Nuclear? There are a lot of people who claim to be counterterrorism experts, but Brian is the real deal, he’s truly been on the front lines, he’s looked those people in the face and he’s had access to the secrets that the rest of us can only imagine. His full time job is as adviser to the head of the RAND Corporation. As we talked, I expressed my concern about what was going on in Mexico and he said that his next project was analyzing the situation down there, which he agreed was very grave. I asked him if he would write an article on it for us and he agreed. Team Reporting. Kimery’s reporting would supply eyewitness “boots-on-the-ground” reporting, in an introductory story called “Savage Struggle on the Border.” Jenkins would supply the analysis of where Mexico was going in a story called “Could Mexico Fail?” but we needed reporting and analysis on how Mexico had gotten to this point, and I turned to Jana in Mexico City. She agreed to do the story that filled in the gap. She had excellent access to Mexican officials and academics and her story was called “The War for Mexico’s Future.” We now had the three parts of a series that would give the serious reader a complete picture of the situation. There was something more — we had the story to ourselves and it was a critical story that needed to be told and fell squarely within our mandate. In the United States, most media was taken up with the 2008 presidential election and Mexican developments weren’t even on the radar. Frankly, by and large the American media treat Mexico as a slummy back yard and don’t take developments there seriously. It was even worse in 2008. Here was a war — and that’s what it was, a war — going on next door that could have a profound effect on the United States homeland and there was barely a word about it in the general media. It was crucial, it was dangerous and there was no one else doing it. The series appeared in the January, February and March 2009 issues of the magazine under the collective title, “Savage Struggle on the Border.” We were very gratified by the reaction. At one congressional hearing, Anthony Placido, head of intelligence for the Drug Enforcement Administration, held up the magazine with Brian’s cover story, “Could Mexico Fail?” in order to emphasize the seriousness of the situation. We’ve since continued our coverage of the border and the narco war in Mexico and Kimery has made another trip down there. At this point I would say that what’s going on in Mexico is more dangerous than the threat of terrorism from the Middle East. What made this series compelling was the fact that we had an important story that hadn’t seen the light of day anywhere else, and by breaking it into three parts, we were able to examine it from three different angles. Anyone reading the whole thing will get a much fuller understanding of the overall situation and be able to put breaking news events into context. (You can see it in a special section on our website. Keys to Series Success. If there are any secrets to a good series, I would say they are: Make sure each installment advances the reader’s understanding of the situation you’re covering. Have a great story. And examine it as completely and thoroughly as you can. There’s another element to this that I find gratifying: In a tough economic environment, when publications are hanging on by their fingernails, it’s sometimes hard to remember that good writing and good reporting are the foundations for not just journalistic success, but commercial success as well. The kind of people who read print publications today enjoy reading, they look to it for information and they’re willing to invest time in a well-written article. They appreciate it. As editors we have to make sure their expectations aren’t disappointed. That raises one last point: In the struggle to survive we’re all trying to appeal to advertisers. That’s necessary for our survival and it’s the system in which we publish. However, as editors we always have to remember that the focus of our efforts is the reader, and we have to serve that reader with the best crafted and researched content we can possibly produce. Good content will result in good revenues. Nothing less will do. 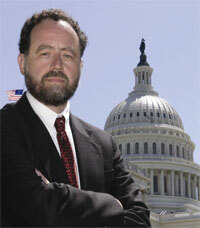 David Silverberg, the 2009 recipient of ASBPE’s Journalism that Matters Award, is the editor of HS Today.